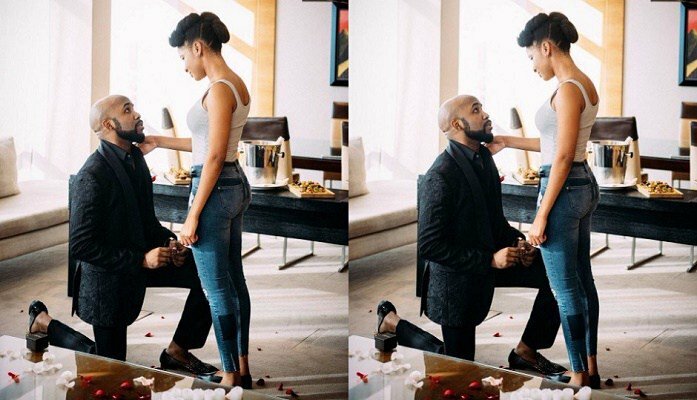 Photos ;Banky W and Adesua Etomi are engaged!! 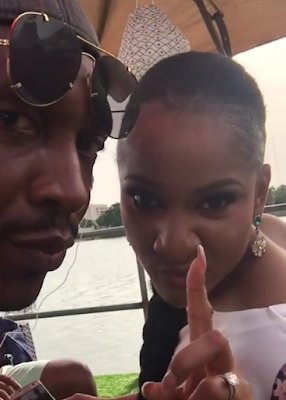 This is a proper case of when art imitates life,these two were cast as a couple for one Nigeria's biggest films the Wedding party. People were commending them for their chemistry on set when infact they were a real life couple. 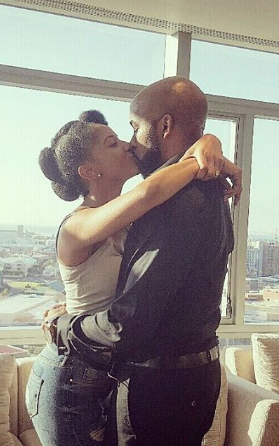 They have now broken the internet as they just revealed that they have been engaged since February this year. Revealing how they met and how he proposed Banky says..
We crossed paths 2 or 3 times since 2012, but I wasn't paying enough attention. Destiny was staring me right in the face and I was too caught up in my own hustle and paper chase, to know it. In June 2015 however, God brought you my way again, and this time, I really SAW you. I was smitten by your grace, aura, and beauty. So smitten infact, that even though I didn't get to say a word to you that day (because you were seated far across the room), I immediately called my best friend @captdemuren and told him I'd found my next girlfriend. LOL. He laughed. I asked one or two people about you.. your manager Isioma, who I'd worked with previously, and then I did some research myself. Googled you, stalked your instagram.. the whole 9 yards, and the more I found out, the more you seemed like a breath of fresh air. Now I personally don't like being "hooked up", so I decided to approach you myself by sliding into your DM a few days later. Introduced myself, made some silly attempts to make you laugh, told you I planned to become your biggest fan, and asked if we could be friends. Thank God you laughed at my silly jokes, and thank God you graciously agreed to become my friend. At the time, I was COMPLETELY lying about only wanting to be friends, by the way.. but I figured it was a safe place to start. Since that DM, I've spoken to you pretty much every single day for almost 2 years. Sometimes, in the morning, at night and in between. We clicked instantly, and you quickly became one of my favourite people on earth, and one of my closest friends. It got to the point where my day wouldn't quite feel right without speaking to you. I needed your friendship. I needed, and still need, the bond we share. It completes me. In that time, I got engaged to you in my "made for you" music video... and by pure coincidence, we both got cast to get married in the wedding party movie.. but all the while we were the very best of friends. I guess, in our case, real life will now imitate art. I'm not sure what the future will bring, but I'm completely sure that I am ready to face it with you by my side. I pray that God continues to build me into the kind of man that you deserve. I love you Susu.. I feel safe and at peace with you. You mean the world to me. Thank you for agreeing to be my lover and best friend. Thank you for agreeing to be my wife. PS: The timing of this may make some people think this is promo for another video, or a movie. It isn't. In February of 2017, I asked Adesua Tolulope Oluwaseun Etomi to be my wife. She said Yes. Adesua also gave her own account of how they met.. I went to an event in 2015 and I suppose that was the beginning of something amazing because once banky saw me, he decided that he was going to be my biggest fan. He slid into my DM and sent the funniest message and that was how we became friends. At the time, I wasn’t interested in anything but a friendship and he was very respectful of that and so we stayed just friends for about a year and a half. Our friendship opened my eyes to a lot of things. Opened my eyes to the type of man Olubankole is and WHAT A MAN. WHAT A MIGHTY GOOD MAN. Olubankole, Your Heart is pure and good, to the very core. You are proof that God is real, you are proof that what’s on the inside is greater and so much more powerful than what we see on the outside and you are the evidence of what I hoped for. I bless God for entrusting my heart in your hands because I know it’s safe. You are everything i prayed for and so much more. Thank you for praying with me, fasting with me, always making time for me, laughing with me, and caring more about me than yourself. Thank you for being kind, loving and full of Integrity. And i’d like to say one more thing. I’m SO SORRY that it took me sooo long to realise that it was you. It has always been you. It couldn’t have been anyone else. In February 2017, you said you couldn’t be without me and asked me to be your wife and I said YES cause I can’t be without you. 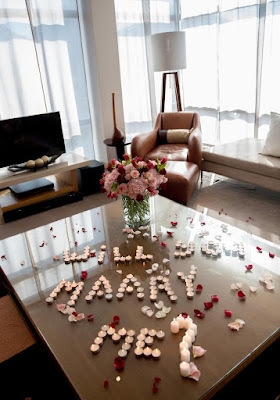 It will be an absolute pleasure and one of the greatest blessings of my life to walk the path of life with you. My goodluck charm, my King, my lover, my bestfriend. I love you till eternity and beyond. No, This Is not a movie. 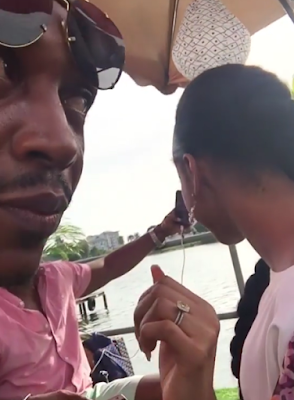 Peep her rocking her ring on the set of the wedding party part two below..